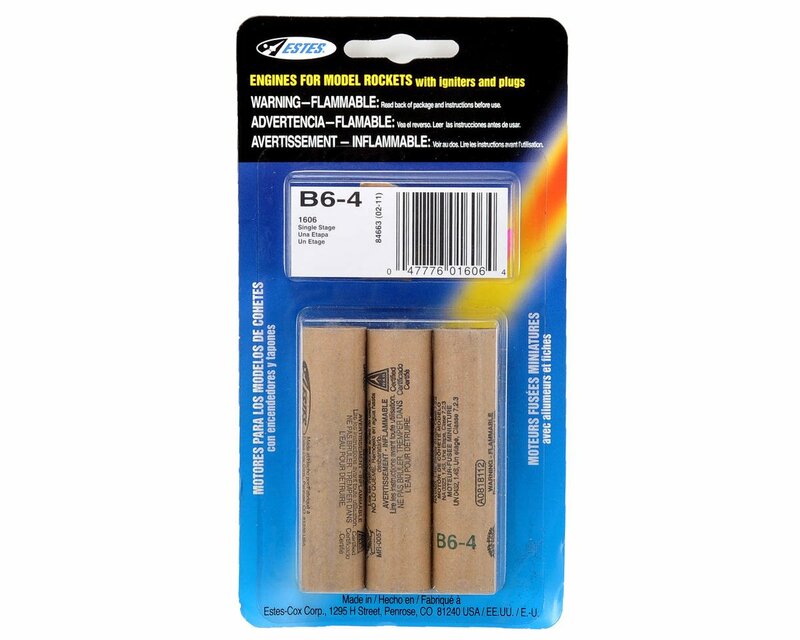 This is a pack of three Estes B6-4 Model Rocket Engines. The Estes B6-4 engine is single stage engine designed for model rocket flight. This engine is a standard engine designed for flights in rockets weighing less than four ounces, including the engine. Each package includes three engines, three igniters and four igniter plugs.